As GM chairman, Smale reformed the automaker's management and put a renewed focus on shareholder value and customers, with a special emphasis on car design, marketing and sales. John G. Smale, who became chairman of General Motors in 1992 following an historic management shakeup sparked by a period of financial turmoil, died on Saturday. He was 84. Smale served as chairman of GM from Nov. 2, 1992, until Dec. 31, 1995, when he was succeeded by John F. "Jack" Smith, Jr.
Smale was the first non-GM executive to become chairman of the automaker since Lammot du Pont resigned from the post in 1937. Led by Smale, GM's outside directors became increasingly dismayed at the automaker's financial performance in 1991 and 1992 and were looking for a drastic change in management and culture. In April 1992, in a move that rocked Detroit and sent tremors through most of corporate America, GM directors announced that Smale would replace Chairman and CEO Robert Stempel as chair of automaker's powerful executive committee, with responsibility for setting priorities and goals. At the same time, two of Stempel's closest allies, GM President and COO Lloyd Reuss and Executive Vice President F. Alan Smith were demoted and booted off the board. GM's CFO Robert O'Connell also was demoted and reassigned to GMAC. As chairman of the executive committee, Smale was able to control GM's agenda, meaning directors in effect could vote on their own priorities and programs rather than management's. But by the fall, the company's turnaround still was not progressing fast enough and Stempel was ousted in October 1992, along with Reuss and other senior executives in a major boardroom coup. Smale officially took over as chairman at GM's next board meeting in early November 1992. Stempel's duties were split between Smale and Smith, a GM veteran who became CEO after a brief stint as chief operating officer. Stempel died this past May. It marked the first time since 1958 that the chairman and CEO roles had been untethered at GM. At the time, GM directors believed no single executive could handle both jobs because of the automaker's challenges and the current economic climate. 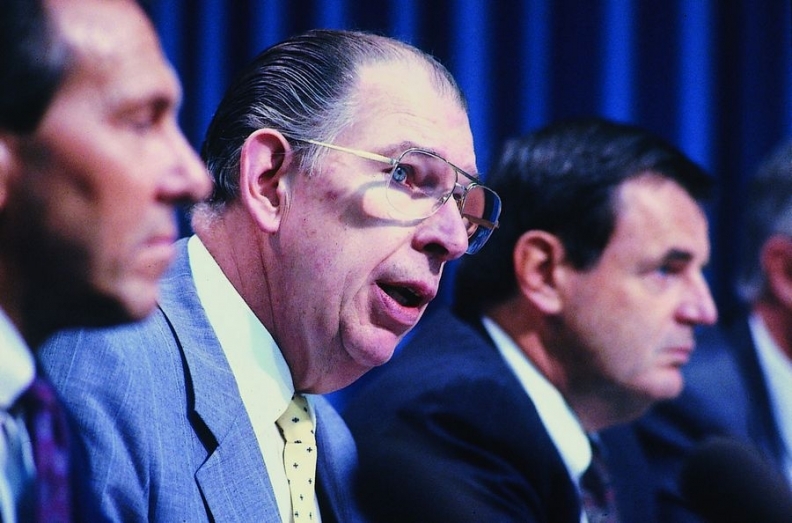 In December 1991 under pressure from GM's outside directors, Chairman Robert Stempel, middle, eliminated 74,000 jobs and announced the closing of 21 plants. At the press conference announcing the cutbacks, from left: GM President Lloyd Reuss, Stempel and Jack Smith. John Smale, a lead outside director, took over as GM chairman on Nov. 2, 1992 when Stempel, Reuss and others were eventually ousted. The automaker -- battered by a recession, the first Gulf War and steady market share losses -- lost more than $17 billion in North America from 1990 to 1993. Costs were out of control. Factories were running well below capacity. The automaker was increasingly slow to bring new models to market. According to an internal study, GM spent $800 more per car on labor than rival Ford Motor Co., while producing lower-quality vehicles. In a potential blow to the world's biggest automaker, Wall Street was threatening to strip GM of its top-grade investment rating, a move that would make it much more expensive for the automaker to borrow funds for daily operations. And GM shares were trading at a 4 1/2-year low — below $30. Under Smale and Smith, GM slowly regained financial footing and posted record profits of $4.9 billion on sales of $154.9 billion in 1994. Smale joined the GM board of directors in 1982 when he was president and CEO of consumer goods giant Procter & Gamble. 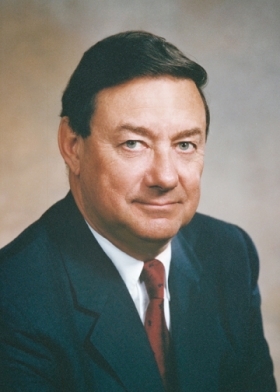 He became chairman of the board of P&G in 1986 and retired in 1990. The Associated Press, citing a P&G spokesperson, said no cause of death was available. Smale continued to serve on the boards of several companies, including GM, after his retirement from P&G. As chairman, Smale reformed GM's staid management and put a renewed focus on shareholder value and customers, with a special emphasis on car design, marketing and sales. He hired an outsider -- Ron Zarrella -- as marketing czar and advocated stronger brand management. Vehicle line executives were put in charge of GM's car and truck lineup, with responsibility for profits and sales. In 1995, GM directors agreed to Smale's request to assume a lesser role and he retired as chairman at the end of that year. He was succeeded by Smith on Jan. 1, 1996. Smale continued to serve on the GM board until 2002.